Nachdem ich nun endlich wieder ein wenig mehr Zeit hatte musste ich doch erstmal wieder das Internet nach neuen Büchern durchstöbern oder einfach ein paar ältere Bücher vorstellen. 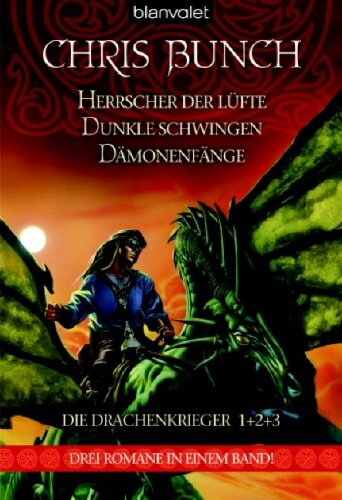 Den Anfang macht der Dritte Teil der Serie von Chris Bunch um den Drachenreiter Hal Kailas. Der Dritte Band hat den Namen Dämonenfänge, erscheint jedoch ausschließlich als Sammelband in denen auch die beiden ersten Titel beinhaltet sind. "In Storm of Wings, the first book of the Dragonmaster series, Hal Kailas grows from a callow 13-year-old, fascinated by dragons living in the crags just above his isolated village, into a battle-savvy Dragonmaster." In Knighthood of the Dragon, the compelling sequel, Hal finds himself pitted against an enemy that not even a flight of dragons may be able to destroy. Now, in this triumphant conclusion to the enthralling Dragonmaster trilogy, Hal finds himself in the ultimate battle with his old enemies. Having unleashed the might of the dragons to aid him in his perilous mission, Hal knows that he now must gather all his forces if he’s to win this final battle. The future of the world depends on it." 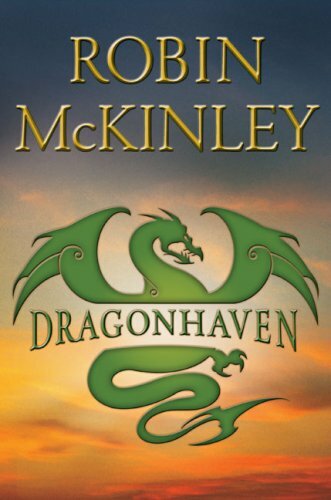 Das zweite Buch stammt aus der Feder von Robin McKinley und nennt sich dragonhaven. "Jake Mendoza lives at the Makepeace Institute of Integrated Dragon Studies in Smokehill National Park. Smokehill is home to about two hundred of the few remaining Draco australiensis, which is extinct in the wild. Australiensis has always been controversial: its detractors say it is extremely dangerous and unjustifiably expensive to keep and should be pre-emptively destroyed. Its friends say there are no records of it eating humans and it is a unique example of specialist evolution and must be protected. But it is up to eighty feet long and breathes fire. On his first overnight solo in the park, Jake finds a dying dragon. A dragon dying next to the human she killed. Jake knows this news could destroy Smokehill — that the dead man is a poacher and had killed her first will be lost in the outcry against dragons. Then he notices that this dragon had just given birth, and one of the babies is still alive. And it is a federal offence to assist in the preservation of the life of a dragon."